A letter calling on the province to keep protesters 150 metres away from abortion clinics and health care providers who provide abortion services has been signed by eight reproductive rights advocacy groups, including one from Kitchener. Lyndsey Butcher, executive director of the Shore Centre — formerly Planned Parenthood — said new legislation being drafted by Attorney General Yasir Naqvi is based on laws in other provinces, which mandate protesters must stay 50 metres away. “Fifty metres only really pushes people … across the street, and because patients are either walking into the clinic or are getting dropped off by taxis or by friends, they still tend to come into contact with protesters,” Butcher said, noting a clinic in Toronto has a 150 metre rule and it seems to work really well. Naqvi announced in May he would create safe zones — dubbed “bubble zones” — around abortion clinics, similar to what has been done in British Columbia, Newfoundland and Labrador and Quebec. “These zones around abortion clinics will ensure that women across Ontario have safe access to healthcare services, and that their privacy and dignity are protected when doing so,” Naqvi said at the time. Naqvi did not give any details on what could be in the bill, but did say any new laws would need to stand up in court if protesters said their rights were being trampled on. “We [have to ensure] that we protect the right to free speech,” he said. The letter, which was sent to Naqvi on Monday, makes a number of suggestions for the new laws. It includes not only that the safe zone should be 150 metres, but also that it should be automatic. In other provinces, doctors offices or clinics need to apply to have a safe zone. It should also apply to any health care providers that are involved with abortion. It suggests first time offenders should see stiff penalties of a $4,000 fine and up to a year in prison. “Safe access to abortion is a fundamental and constitutionally-protected right for all Canadians,” the letter reads. Butcher said women who seek an abortion feel a sense of being judged or shamed by people who don’t know their situation. “It actually tends to cause them to be angry and quite frustrated that someone is judging them who doesn’t know what they’re going through or how they’ve come to this very personal decision,” she said. In 2016, Health Canada approved the use of the pill Mifegymiso for non-surgical abortions up to seven weeks. Despite that, Mifegymiso is still hard to obtain. The Shore Centre is currently doing outreach with local doctors about the pill and she said there are a couple of doctors interested in prescribing it. “But their number one fear is they don’t want protesters outside of their medical practices,” she said. Butcher said extending the bubble zone around clinics and offices that provide abortion services will ease those fears. Abortion Rights Coalition of Canada has been coordinating the response to the provincial government with the seven other authors of the letter. Butcher said everyone in the group had a say in the letter and signed it together. Now, they hope the Naqvi will listen. “The minister, he has committed to having consultations, and so we are hoping to be able to participate in one of those consultation sessions,” Butcher said. Thank you for your promise to introduce safe access zone legislation in the fall to protect Ontario facilities that provide abortion and their clients. We the undersigned agree that this is a much-needed initiative, given the ongoing threat of harassment, intimidation, and abuse that occurs at medical facilities across Ontario. Access zone legislation must be enacted throughout the province of Ontario in order to protect the fundamental rights and safety of Ontario patients, health care providers, and administration staff. British Columbia has had the Access to Abortion Services Act since 1995. It has withstood several court challenges, the most recent being an appeal which was denied by the Supreme Court in 2007. It has been shown to infringe only minimally upon protesters’ freedom of speech in order to protect the right to necessary healthcare, as well as the privacy, safety, and dignity of patients and providers. The BC law would be an excellent basis for the Act to be implemented throughout Ontario. Your Bill, however, should consider recent pharmaceutical and policy advancements, which will expand the use of medical abortions outside of dedicated clinics, and enact legislation accordingly. Facilities should be protected without having to apply for a custom-measured zone. 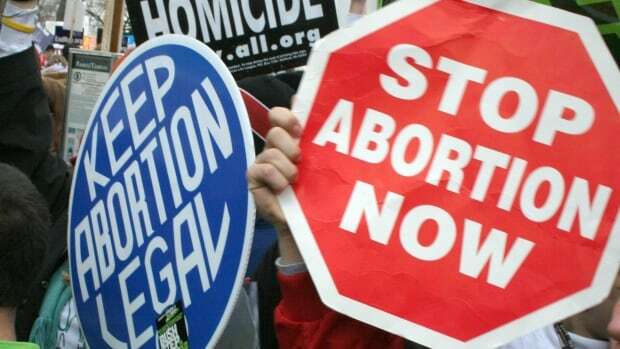 Zones should protect abortion clinics, hospitals that provide abortions, the offices of health care providers who provide or prescribe abortion, pharmacies that dispense abortion medication, and the residences of health care providers who provide or prescribe abortions. (Besides physicians, other authorized health care providers may include, for example, nurse-practitioners and midwives). To reinforce the importance of these zones and compensate for inflation over time, we suggest that the legislation should double the fines initially laid out in British Columbia’s Access to Abortion Services Act. Establishing fixed zones and eliminating the requirement for facilities to apply for a zone can be justified as follows. Many more health care providers will need protection due to dispensing Mifegymiso. 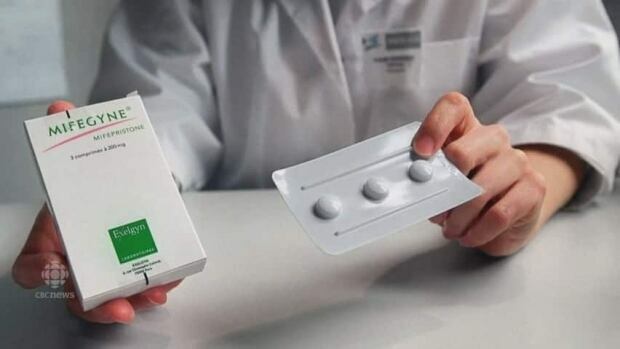 As you know, Ontario has recently committed to cost coverage for Mifegymiso, and the expectation is that health care providers across the province will start prescribing abortion medication to their patients, now or in the future. The task and cost of applying for an access zone will become onerous to providers such as family physicians and may act as a barrier to abortion access, undermining the intent of Ontario’s cost-coverage policy. As well, Ontario has many more facilities providing abortion than BC. Requiring custom-measured zones would be onerous and costly, both for the province and facilities. Our concern is that an obligation to apply for an access zone will leave many facilities unprotected. In BC, for example, only three clinics are protected because of the requirement to apply for a zone. The proven 22-year success and constitutionality of the BC law means that the evident need for safe access zone legislation does not require major scrutiny – we know it helps to ensure safety, privacy, dignity, and the right to access necessary health services. Safe access to abortion is a fundamental and constitutionally-protected right for all Canadians. While people are free to demonstrate their opposition to this right, their protests should take place a safe distance from where patients are seeking healthcare. Given recent events throughout Ontario, including the mistaken erasure of the 1994 injunction protecting a few Toronto-area clinics and Ontario hospitals, it is crucial that a meaningful and comprehensive Act be passed quickly. Abortion patients and providers need protection from the harms and abuses that often arise due to the presence of protesters. These harms can include intimidation, shaming, invasion of privacy, physical interference, and emotional distress that increases the risk of medical complications during the abortion procedure. Thank you for your commitment to legislation that will uphold the human rights, safety, and equality of all people in Ontario.